Searching for a good personal injury lawyer may seem to be a daunting task. As a top rated personal injury lawyer for the past 25 years, I assure you that attorney style, experience, training, and results vary. The attorney you choose will be your partner and your voice throughout your lawsuit. Choose an attorney with whom you feel comfortable sharing your journey. If you have found your way to this page, you have begun your research and are on the right track. First, do your homework. Get a referral from a lawyer you know or the local bar association. Review law firm websites. When you have a short list of candidates, conduct a phone interview. Most personal injury lawyers work on a contingency fee basis and will offer a free consultation. This gives you the opportunity to phone interview lawyers at no cost to you. Finally, arrange for a personal meeting. Limit your search to lawyers who specialize in Personal Injury. Do not choose a lawyer who only dabbles in personal injury or has limited experience. You need a Personal Injury Lawyer who is knowledgeable in tort law and experienced in dealing with insurance companies and the complexities of damages and bodily harm claims. Hire the Lawyer, not the Law Firm – Know who is handling your case. The law firm is not handling your case, the lawyer is. Beware of large firms, known in the industry as sweat shops. 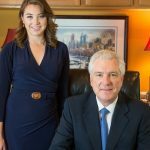 They handle thousands of cases by handing cases down to less experienced associates. The best personal injury lawyer has a Martindale-Hubbell AV Preeminent Peer Review Rating. Martindale-Hubbell is the gold standard peer review rating in the legal community for bar members and the judiciary. The highest legal rating, AV® 5.0 Preeminent™ Peer Review Rating is a significant rating accomplishment and an outstanding achievement. It is a testament to the fact that a lawyer’s peers rank him or her at the highest level of professional excellence in skill and ethics. The best personal injury lawyer is knowledgeable in Tort law. You need a personal injury lawyer who is knowledgeable and experienced with the complexities of damages and bodily harm claims. The best personal injury lawyer is a skilled personal injury litigator with a good sense of what a case is worth. You need a Personal Injury Lawyer who is experienced in dealing with insurance companies. The best personal injury lawyer is a “true” trial lawyer. Experience in handling cases involving jury trials will help you determine if the lawyer you are considering is a true trial lawyer. 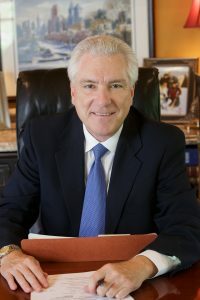 Many lawyers call themselves “trial lawyers” but in reality, they do not have trial experience with significant cases, and their “strategy” does not go farther than to settle the case. Insurance companies know which lawyers have jury trial experience and which lawyers do not. Insurance Companies respect trial lawyers, which improves your negotiating leverage. 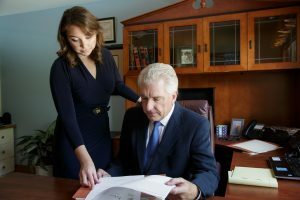 Although most injury claims are settled before trial, it is important for the personal injury lawyer to prepare the file as if the case is going to trial. A “true” trial lawyer will do this. Our experience is that cases that are thoroughly prepared for trial result in the best settlement offers. Insurance companies hire trial lawyers. You should, too. 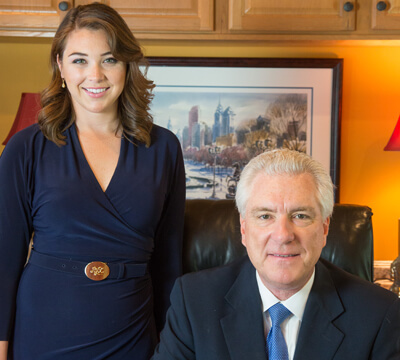 The best personal injury lawyer has experience as both a defense and plaintiff lawyer. A personal injury lawyer with both defense and plaintiff experience knows the personality traits, habits and tactics of defense attorneys’. Therefore, having both defense & plaintiff litigation and trial experience is an added bonus in knowing how both sides will play their hand of cards. The best personal injury lawyer is hard-working. You want a personal injury lawyer who has a strong work ethic who will work hard for you, keep your case moving forward, and keep you updated on your case. The best personal injury lawyer has excellent contacts with experts. You want a personal injury lawyer with medical experts, accident reconstruction experts, economic experts, and vocational experts. The best personal injury lawyer has a manageable case load. You want an attorney that has the time to dedicate their knowledge and experience to your case. How many cases does the lawyer handle will help you determine the level of personal attention you can expect. Some lawyers handle 50 to 100 cases at a time. This means that the lawyer probably cannot devote significant personal attention to any particular case. The work on these cases is probably handled by staff members, not the lawyer. The best personal injury lawyer can show you their personal past results. They can show you a list of cases they personally settled and they can show you a list of cases they personally took to trial with a jury verdict. The best personal injury lawyer is compassionate. He or she is a good listener and good communicator both to the client and in his or her negotiating for the client in conveying their injuries. The more checks above, the better chance you have found the best personal injury lawyer to represent you. Or, if you have been injured in the greater Philadelphia area, call John Fox and check all of the above. Fox Law welcomes you to contact us for a prompt and free consultation regarding your personal injury case.